Housing Innovation - SFHA 'Poverty and Impact' projects kick off! Kicking off the action plan are three projects on poverty and impact, which will be delivered by team members over a six-week period. The SFHA Innovation and Future Thinking initiative’s first set of projects kicks off this week following three successful Innovation Boot Camps which took place during August and September 2018. The first Innovation Boot Camp brought together a team to generate ideas on the theme of Tackling Poverty and Demonstrating Impact. Teams used a range of innovation and engagement tools, and have now agreed an action plan for the innovation programme. Kicking off this action plan are three projects on poverty and impact, which will be delivered by team members over a six-week period. The first project will involve scoping a ‘Measuring Impact Toolkit’ and accompanying guidance for housing associations. Led by Andrew Saunders, Chief Executive at Ore Valley Housing Association, the project aims to help housing associations to access and use social and economic impact information to inform their decision-making. Over the project’s six-week span, Andrew and the team will aim to set out what the toolkit and guidance might include, before handing this over to another project team for development. 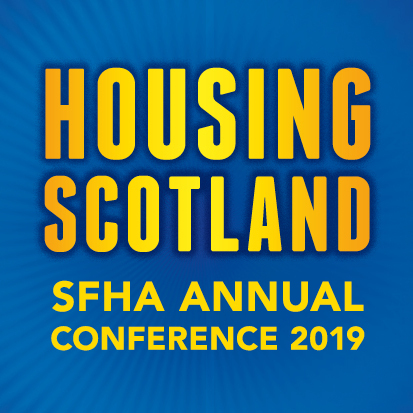 The second project team is led by Conor Hill, SFHA Policy and Public Affairs Officer, and involves designing an awareness campaign with key sector partners to promote the work of housing associations in relation to social justice. At the end of the six-week project, the team will have produced a communications plan to be delivered over the next six months. The third and final project involves producing a scope for a toolkit for housing associations on engagement, customer insight, and partnership working. Lorraine McLaren, Wheatley Foundation Director, will lead the team to produce an outline of what a shared resource for housing associations on innovative tenant engagement, insight, and local partnership working might look like.